Play Sparks slots now to enjoy numerous exciting features. Play with either one way or both way modes! The main feature on the game is the Expanding Cloning Wild! 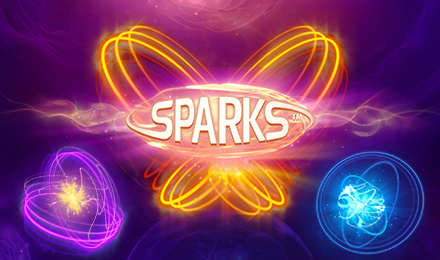 Find the little spark that can bring massive payouts on Sparks Slot. This entertaining slot by NetEnt has 5 reels and 20 paylines. What’s interesting about Sparks Slot is that you can either choose to play with the Win One Way or the Win Both Ways modes. The main feature of the game is the exciting Expanding Cloning Wild feature, where Wild appearing on reels 2 and 4 clone an adjacent symbol. This can assist you grab up to 400x your stake value!